Take time out to relax, unwind and have fun at one of the many health and beauty spas around Britain. Known to offer health and wellbeing benefits, there are treatments and experiences for all skin types and conditions. So escape the troubles and stresses of everyday life, have a quick online for some spa day vouchers and pamper yourself with some me-time. Our spa hit-list offers the best deals and treatments you’ll find around the UK. The Retreat @ Hillmotts are currently offering up to 69% off a Revitalising Reviver Pamper Package. This exclusive pamper package includes a 15-minute body scrub to flake away old skin cells, a 25-minute express facial to cleanse, tone and moisturise and finally you’ll be wrapped up in delicate seaweed layers to detoxify and eliminate impurities from the skin. As an extra special treat you’ll receive a cream tea or fruit smoothie. Nestled away in a beautiful 2,000 acre estate, The Retreat @ Hillmotts offers unbelievable value for money. The Sanook Spa within the 5* Courthouse Hotel in London is the ideal urban spa with access to the venue’s heated pool, sauna and fitness rooms. Enjoy a pampering session in the trendy west end with a massage and facial. Your bespoke session will consist of a half hour hot stone massage that will target the back, neck, shoulders and feet. A tailored facial will then treat your skin to a 30-minute express facial and finally take a long dip in the spa facilities for up to one hour. A new alternative therapy offering health benefits are salt caves. A completely different experience to the traditional day spa, you’ll be invited to relax in recliner chairs in a room dispersed with salt. An aesthetic copy of a natural salt cave, this therapy has been known to aid symptoms of allergies, respiratory issues and skin complaints. 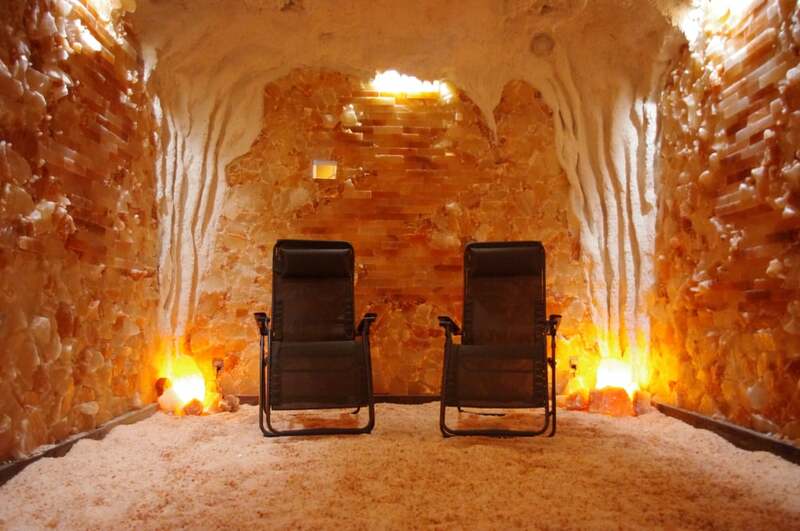 Put The Salt Caves on your spa-to-do-list. There are caves located around London, Milton Keynes, Bexleyheath, Tunbridge Wells, Inverness, Edinburgh and the West Midlands. Go on your own escapade to Billesley Manor Hotel, just a short drive from the medieval Shakespearian town of Stratford-upon-Avon. Choose from a menu of treats from which you will be pampered for over 50 minutes. You’ll be stuck trying to select two beautifying treatments from a mini facial, mini pedicure, vital eyes facial, scalp massage or back massage – and it gets better – a glass of prosecco is included in the total cost of your spa visit. Kick back and switch off at the Junerain Spa and Treatment Clinic, right in the middle of Leamington Spa, Warwickshire. Enjoy a delicate yet invigorating Swedish back massage known to improve osteoarthritis symptoms, joint stiffness and help in reducing pain. Team this with a full body exfoliation to revive your skin. Or, alternatively enjoy a glossy and wholesome manicure – perfect nails are a matching accessory for when you’re wearing winter mittens this season, so keep them tidy and glossy with a nourishing manicure from the experts at Junerain.